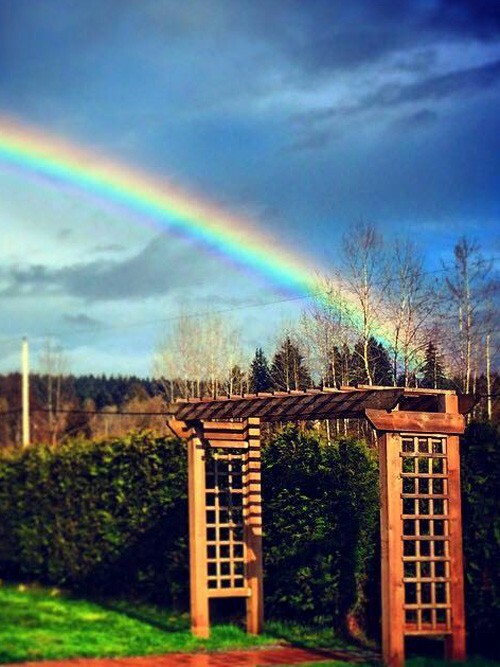 Landscaping Campbell River – Paradise Plants Garden Center. Landscaping, Landscape Design, Landscapers install irrigation, sprinklers, patios, paths, ponds, rockwork, Alan block walls. Our team of Designers and the Specialists at Paradise Plants will give you a space you absolutely LOVE. Landscaping and much, much more! 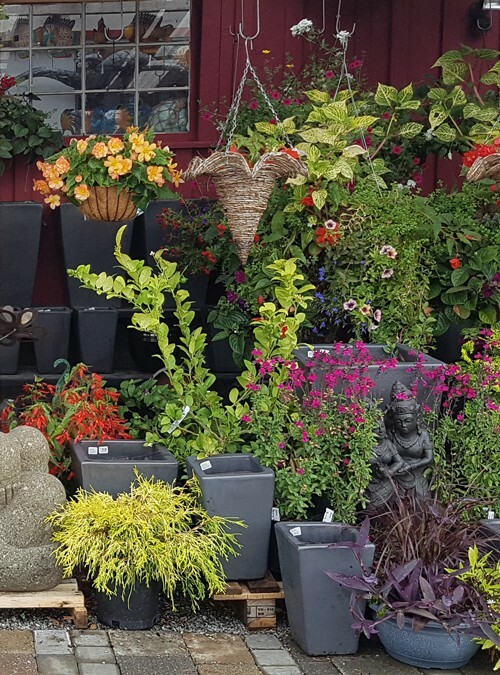 Landscaping Campbell River, at the Garden Centre we offer shrubs, trees, perennials. These include conifers, fruit trees, fruit bushes, hanging baskets and garden ware. 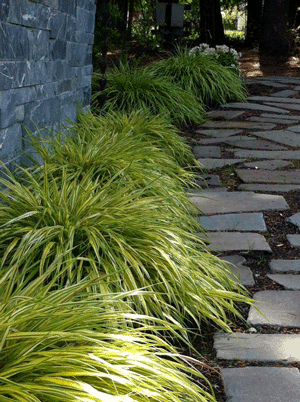 In addition to a Garden Centre we offer landscape design and landscaping. 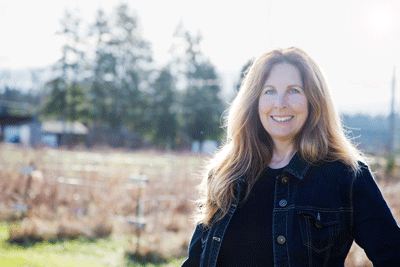 We service Comox Valley and, most noteworthy, surrounding communities. Handling projects of all sizes because none are too big or too small. Mini-spaces as much as acreages, we love them all. 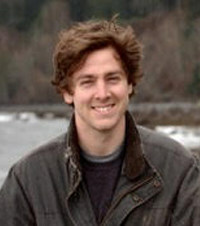 Projects are quoted once the main design is complete. 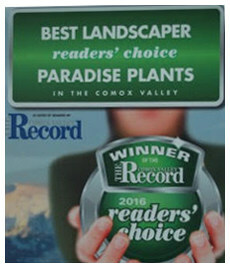 Paradise Plants also installs irrigation systems and sprinklers. We build ponds and wooden garden features. 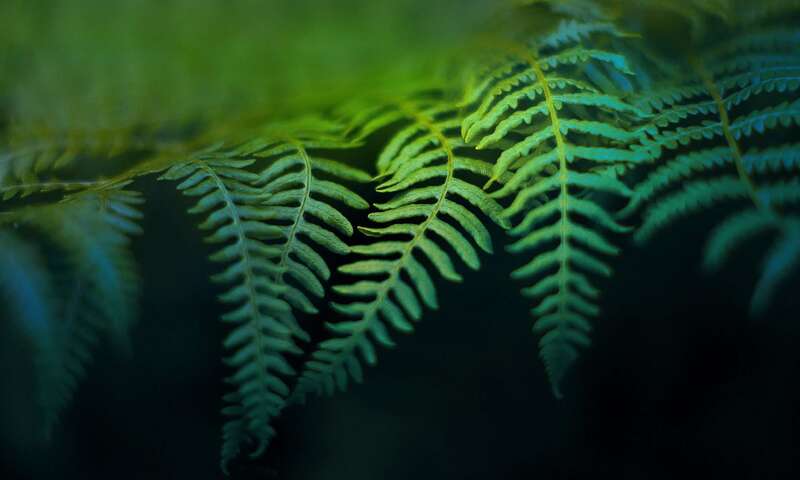 Specialties are: • Ponds & Waterfalls • Patios: Slate ~ Stone ~ Block • Stone & Boulder Features • Garden Walls ~ Alan Block • Xeriscapes ~ Drought Tolerant • Synlawn Synthetic Turf • Trellises ~ Wood Features • Irrigation ~ Sprinkler Systems • Container Gardening. Our landscape team works throughout the year and has been installing gardens since 2002. 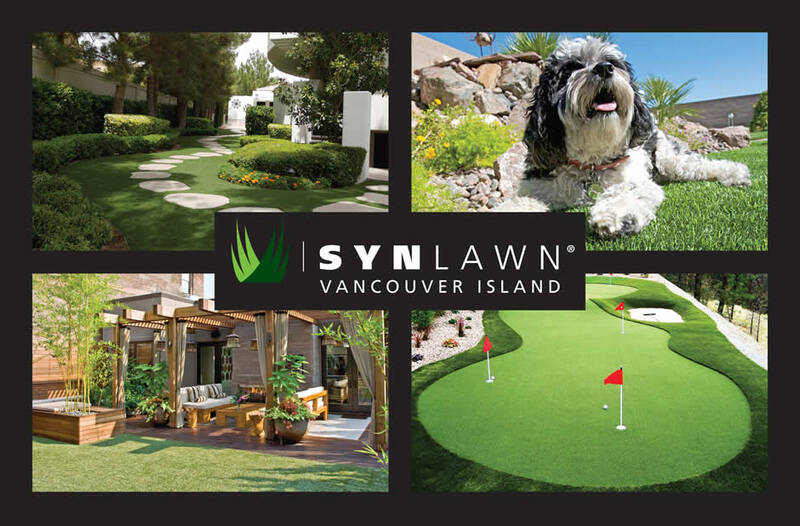 Furthermore we are the local dealer and licensed installer for Synlawn. Landscaping Campbell River – Landscaping & Garden Installation crew installs synlawn because it’s the best synthetic turf available in Canada. In addition it has a Fifteen Year Warranty! Reasons include, first of all • turf looks amazing! • easiest lawn to look after. • another reason – the most realistic synthetic putting surface ever. Especially relevant: tour pros like Phil Mickleson practice on it.